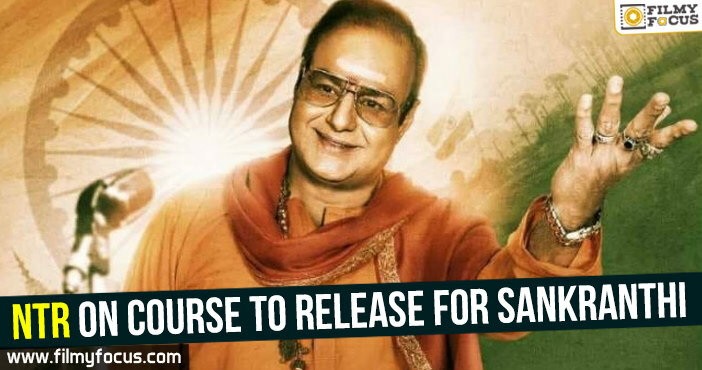 Several news reports have suggested that the biopic of Legendary actor and great political leader, Nandamuri Taraka Ramarao, NTR could be delayed from Sankranthi slot and the reasoning was that the movie has lot of portions to be still shot and there is lot of VFX work too pending. The rumours have hit some of the fans who are eagerly waiting for the movie to release for Sankranthi. 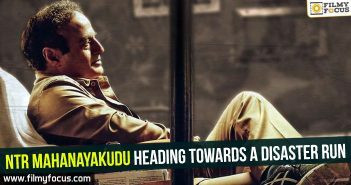 The team is actually shooting the most important scenes that involve NTR, Nara Chandrababu Naidu and Basavatarakamma characters at Abids. When NTR first shifted to Hyderabad, from Chennai, he built a house at Abids and that has been turned into his memorium by family members. Nandamuri Balakrishna acting as NTR, Rana acting as NCBN and Vidya Balan as Basavatarakamma are participating in this schedule. 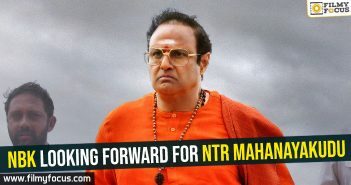 After this schedule without any break they will continue to shoot the younger portions of NTR at his village and will construct sets at Hyderabad to finish the remaining portions. All importabt cinema field portions will be shot with extensive sets from October and Krish, the director has decided to dedicate more time to NTR as his other film, Manikarnika has finished the shooting and is in post production works. Balakrishna the producer, wants to keep his word and hence he is working round the clock to finish the film on-time.